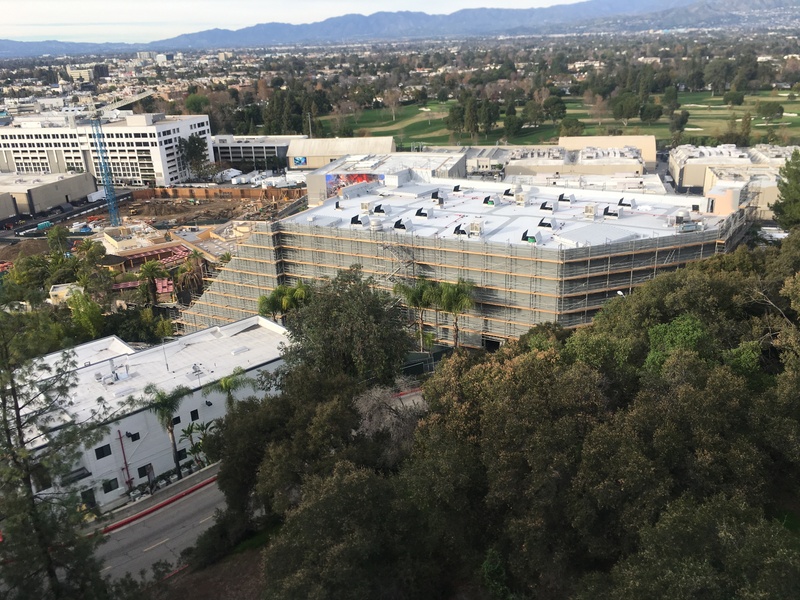 Immediately entering the park from the Frankenstein parking garage, the new rumored Secret Life Of Pets show building is extremely noticeable. 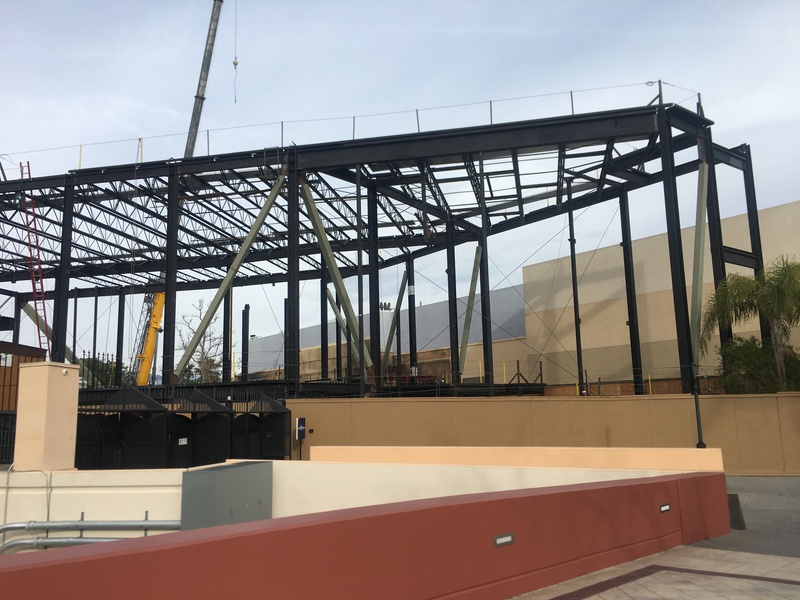 Our last update at the park was about a month ago and progress is moving extremely fast for this attraction. The entire second story frame of the building is almost complete. It does seem to resemble city skyscrapers. 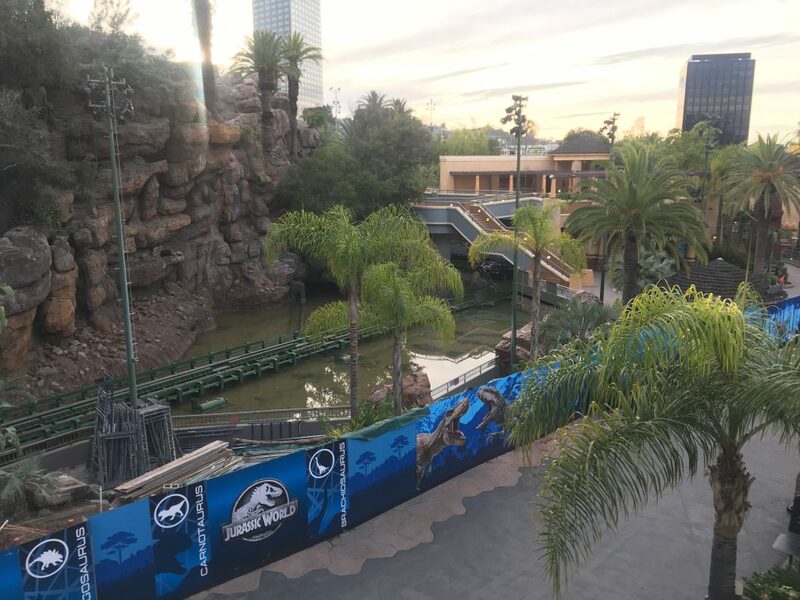 Last update, we projected that this attraction would be completed late fall, at this rate it may be finished by this summer in line with the new Jurassic World project. From this view you can see that a few roof beams still need to be installed. 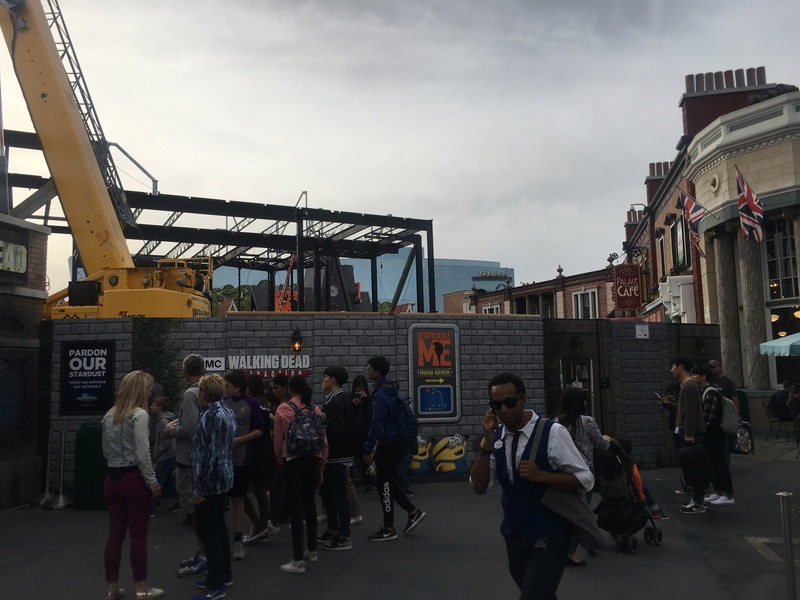 The entrance to Despicable Me: Minion Mayhem is still cut off right outside the entrance to The Walking Dead Attraction and guest are re-directed through Tour De France. Speaking of The Walking Dead, it has been a while since I walked through the sinister attraction. It sure gave me a couple jump scares as I made my way by myself throughout majority of the maze. 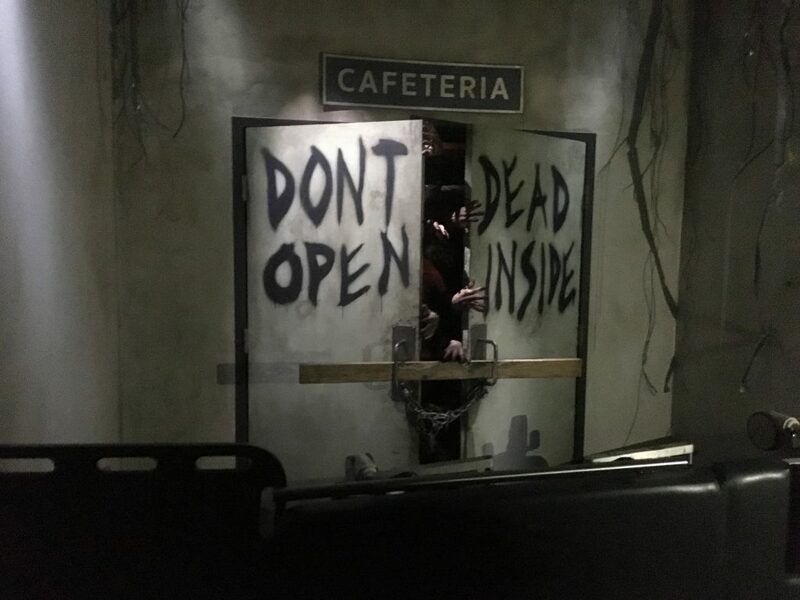 As a former scare actor the walkers did a great job! 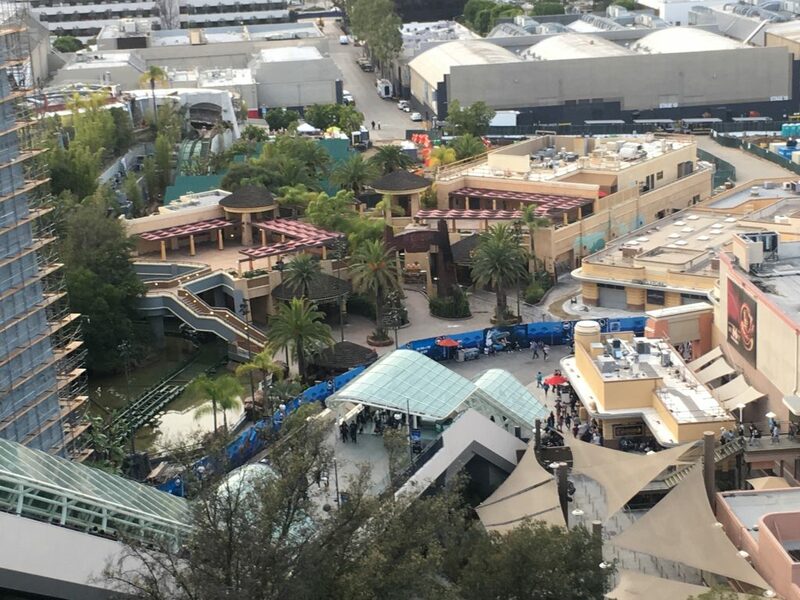 Just across the way, the Universal Plaza is closed at the moment. The plaza is getting ready for the annual Lunar New Year celebration. This year there will be a new live kung fu training show featuring the dragon warrior himself, PO. The event will run from February 2nd to February 17 with all types of fun surprises, including my favorite Mandarin speaking villain Megatron character meet and greet. 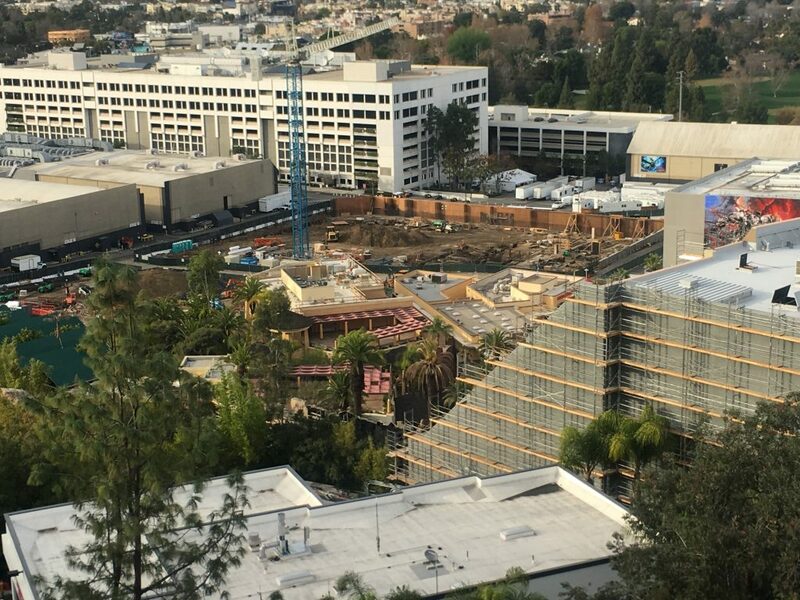 It is great that so many projects are currently under way at Universal Studios Hollywood. The park always seems to be missing that touch of satisfaction when looking to experience thrill. 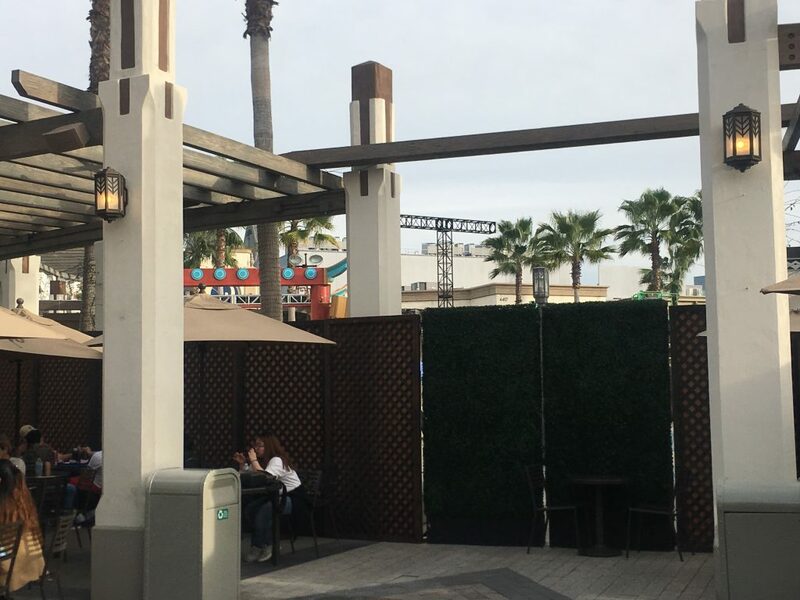 The rumored Super Nintendo World, is still underway in this section of the park. Work walls have been added around the perimeter of the site and more land clearing is still in progress. 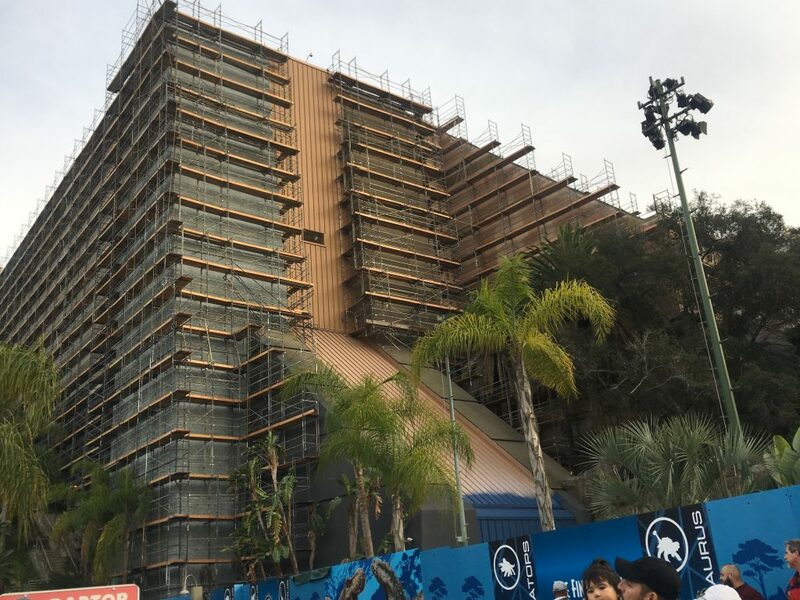 Over at the new Jurassic World project, the first turn around seems to be nearly complete as more roofing has been added over the past month. The beams are hardly visible. 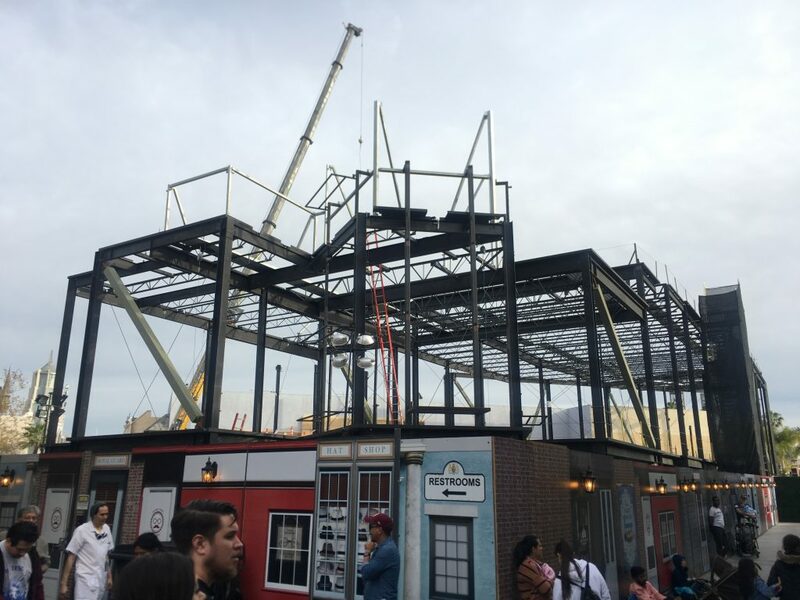 This will host the first show scene for the new attraction. Down on the lower lot, the entire Jurassic Park area is completely walled off. The sole restrooms are also not accessible on this side of the park. It is great to know that they will be changing the color scheme of this entire area to match that of the new Jurassic World franchise. Painting continues on the finale building. It’s nice to see that the blue will continue all the way up the center of the building. Water was present in the lagoon. 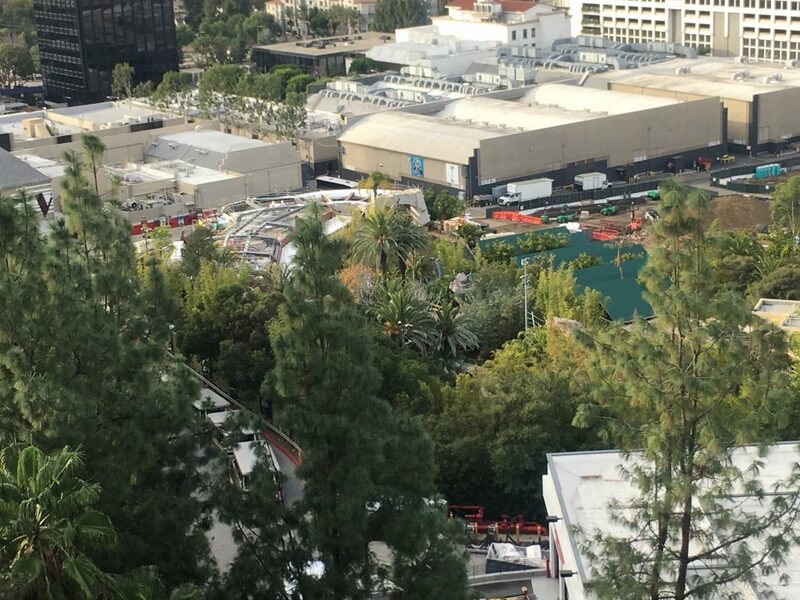 This is a great sign that the ride may have begun testing, which means it is on target for its Summer release date. Some of the ride vehicles are also now on the track. It may difficult to see but like all the buildings in this section of the park, they also are grey/silver. 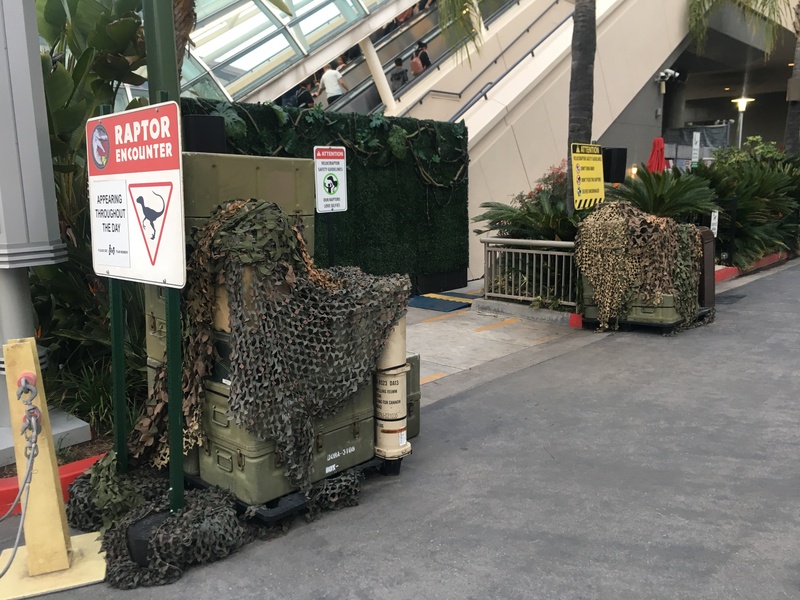 Due to the new construction walls on the lower lot, the raptor encounter is now on the opposite side. 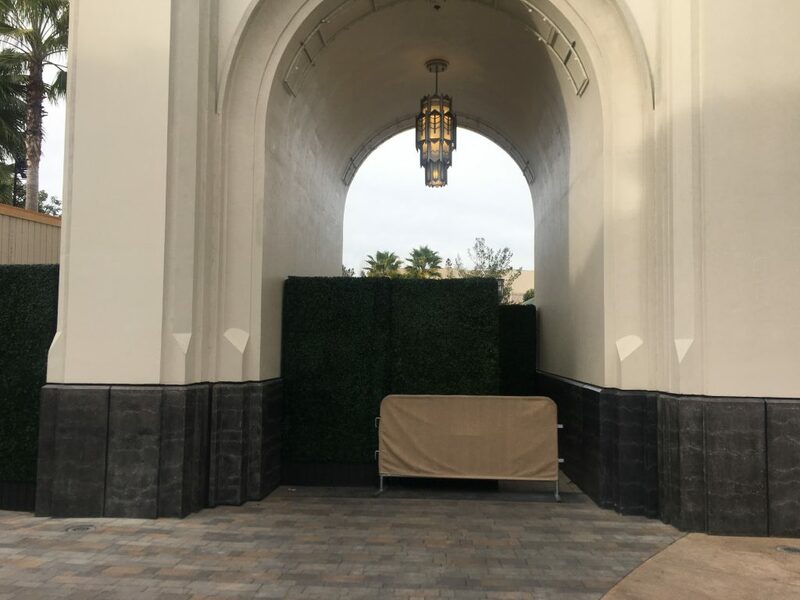 We are pretty sure this will be a temporary transition, as it would interfere with guest overlooking on the stairs , which creates crowds. 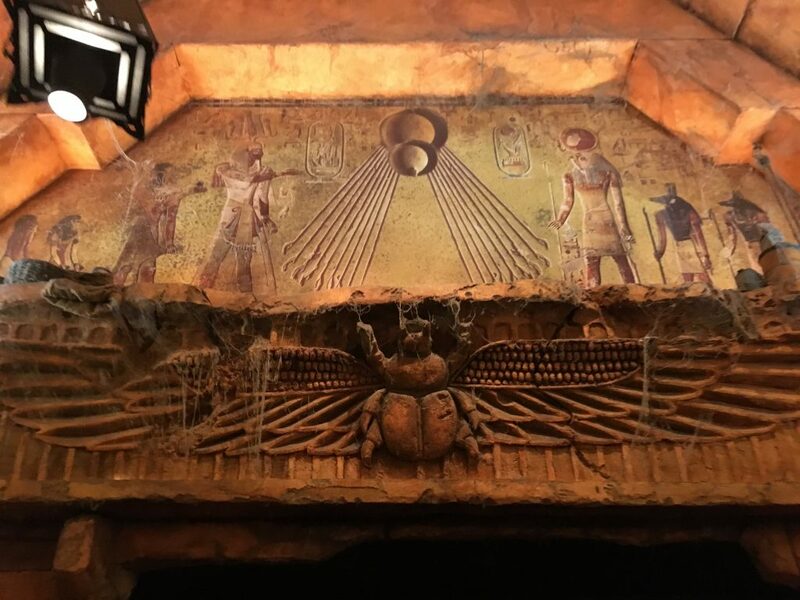 Although the construction wall surrounded the Universal Studio Store on the lower lot, you can still access the store from the entrance directly across from Revenge of The Mummy. 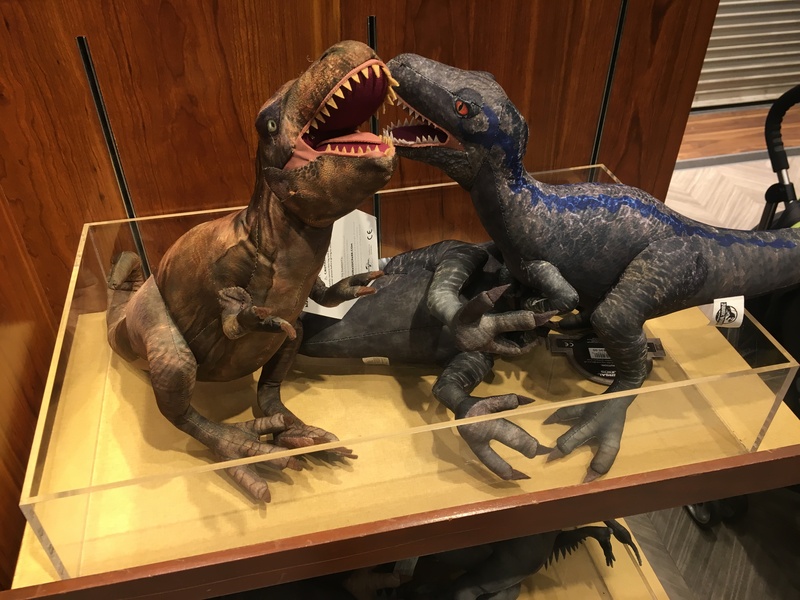 These adorable plushies along with most of the merchandise from the now closed Jurassic Outfitters can be found here. Speaking of Revenge of The Mummy, all of the special effects are now working extremely well. I was able to marathon this attraction for a bit in many different seats. I found I love the attraction from any seat, they were all different, yet satisfying experiences. 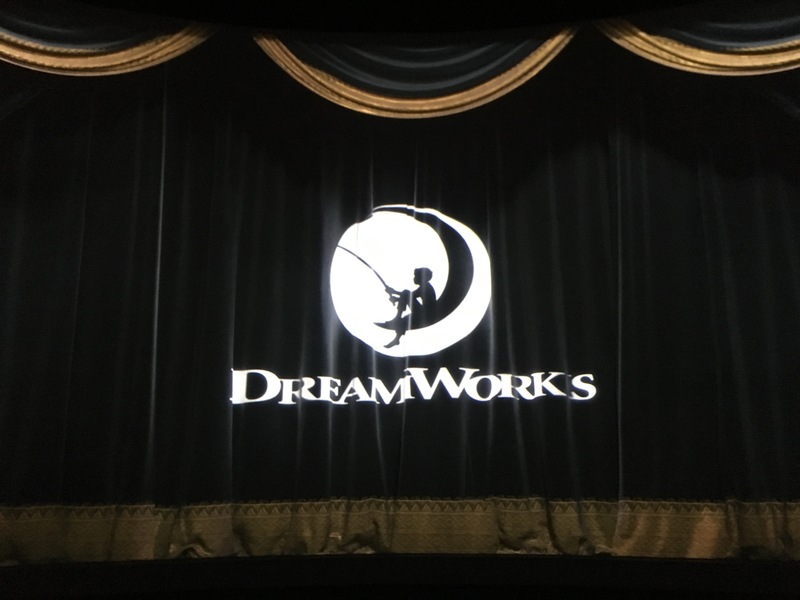 Back on the Upper Lot, I chose to experience the Dreamworks Theatre: Featuring Kung Fu Panda in the very center front row. I think this may be my preference as it felt as if I were there on the journey with Po and all of the special effects made it that more intense. The only downfall was that I could not experience the show scenes on the sides of the theater. Ah yes, did I mention I was a wizard? 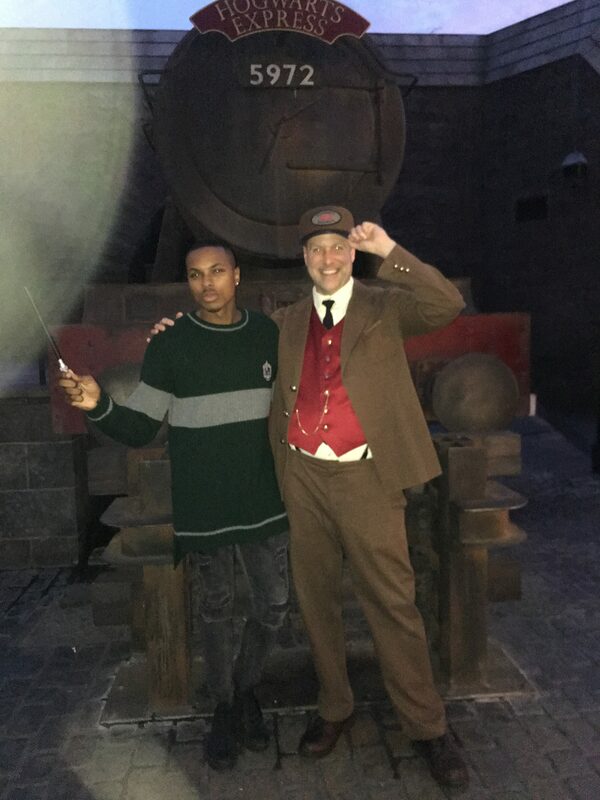 Stopped in Hogsmeade for a bit before a dementor swopped in. I though of my happiest feeling and had to protect us with my patronus charm. That is actually going to do it for this update. 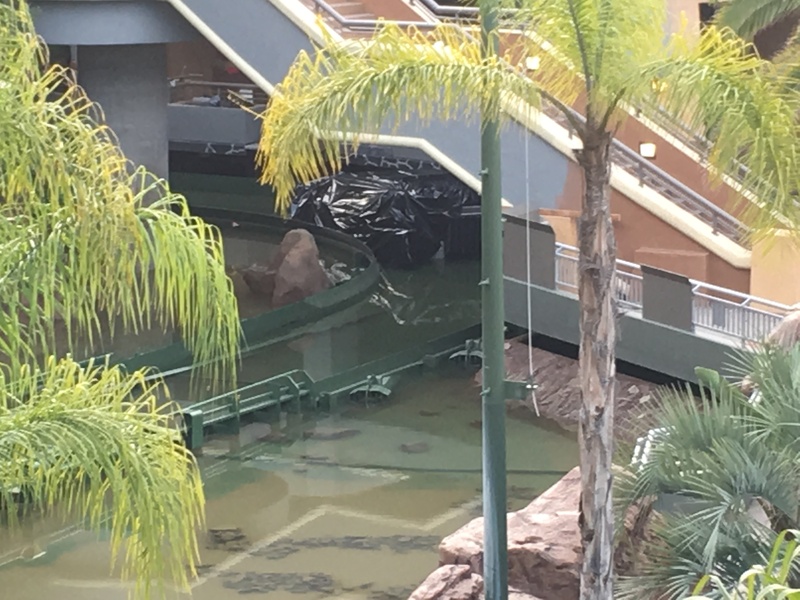 As always thanks for reading and be sure to check out our recent Sea World Orlando Update. Be sure to follow us on Twitter, Instagram, and Facebook. 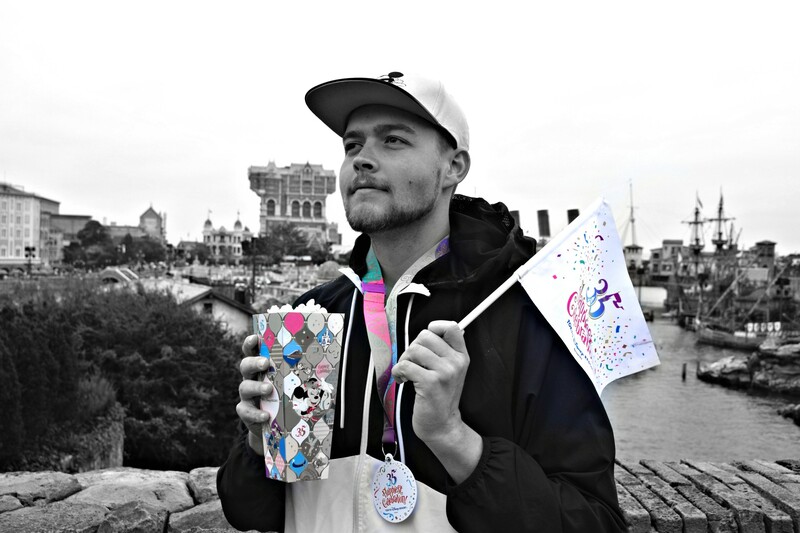 Until next time Coaster Royalty!